It’s clear that 3D printing holds, and will continue to hold, an important place in education. But how does an educator decide which printer to use to support a given curriculum? 1) Is it easy to set up? 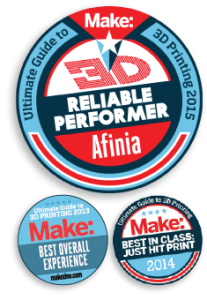 Make: Magazine selected it as “Reliable Performer” in their most recent review of 26 different 3D printers. 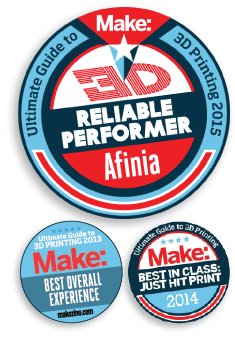 The Afinia H-Series has also been named “Best Overall Experience,” “Easiest To Set Up,” and “Easiest To Use” in previous Make: Magazine reviews. Some printers cost in excess of $30,000 and can only print a few students’ projects at one time. For that investment, you can get 23 Afinia printers and everything you need to get started quickly. The Afinia 3D printers pair perfectly with various educational 3D design and printing apps, and can be used to complete 3D Printing Project-based Learning STEM Kits. 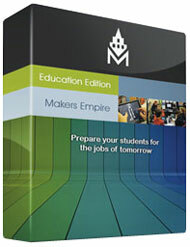 Afinia is partnered with Makers Empire to provide schools with Makers Empire’s award-winning 3D Printing Learning Program. Afinia has the industry leading 1-year warranty, with an option to purchase an extended warranty. What is the impact of 3D printing in secondary education? “One of the most significant aspects of 3D printing for teaching and learning is that it enables more authentic exploration of objects that may not be readily available to schools. How is 3D printing technology being used at the university level? On October 1, 2012, Dr. Chris Williams, Ph.D. at the Virginia Tech DREAMSLab, received National Science Foundation funding for an innovation-based manufacturing program with the Virginia Polytechnic Institute and State University. These funds were put to use by developing and hosting several dozen high school STEM teachers for a week of intense in-service training on how to introduce 3D printing into their classrooms. If you are interested in using SketchUp Pro, download the PDF below for licensing information. Licenses are available to educators at accredited education institutions for free and students are able to purchase a license at a discounted rate. Your K-12 school lab may also be eligible to get SketchUp Pro for free. 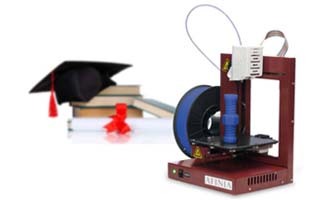 If you are investigating Desktop 3D Printers for your educational institution, please contact sales@afinia.com. We’ll be happy to help. Sign up for our newsletter at the top of this website to stay informed of future contests and news from Afinia. Afiniacs: Check out Invent To Learn, written by Syliva Martinez and Gary Steager. Afiniacs: Check out The Invent To Learn Guide to 3D Printing in the Classroom, by David Thornburg, Norma Thornburg, and Sara Armstrong. 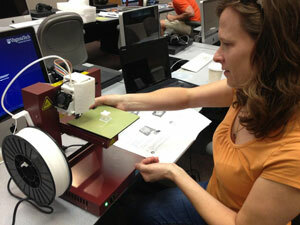 Afiniacs: Check out Modeling with SketchUp for 3D Printing, written by Bonnie Roskes.